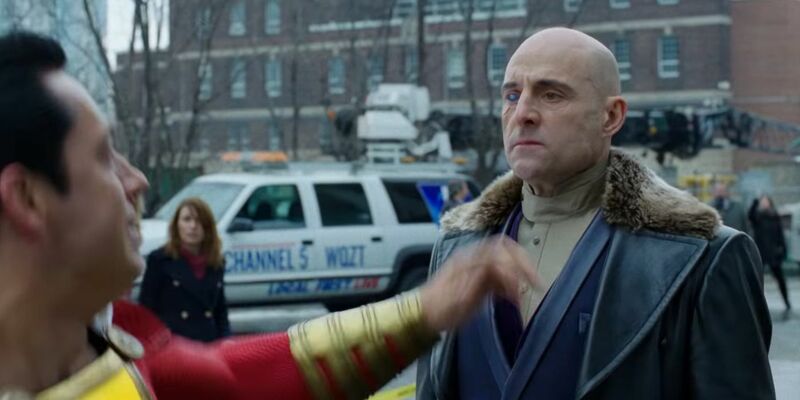 Doctor Sivana is ready to use his powers in a new photo from Shazam! Warner Bros. and DC Films are looking to change the tone of the DC Universe now that Walter Hamada is running the show. He helped develop Shazam! last year before taking over the entire universe, which included a close collaboration with director David F. Sandberg. He’s been very adamant that it will be the most lighthearted DC film to date, and the first Shazam! movie trailer gives no reason to believe that won’t be the case. Since Shazam is a young kid who transforms into a superhero by uttering his heroic name, there’s plenty of opportunities for fun. Zachary Levi is embodying the teenager mentality when he’s in the suit, as he replicates how Asher Angel plays the regular kid version of the character as Billy Batson. Billy will need his powers to try and prove his heroic abilities, and he’ll first be tested by Thaddeus Sivana. CBM shared scans of new photos from the latest issue of Empire Magazine, one of which puts the focus on Shazam!‘s villain. Doctor Sivana is played by Mark Strong, giving him the chance to be a good DC movie villain after previously playing Sinestro in Green Lantern. The new image shows Sivana in a dark setting, but he’s using his own powers to light up the space around him. 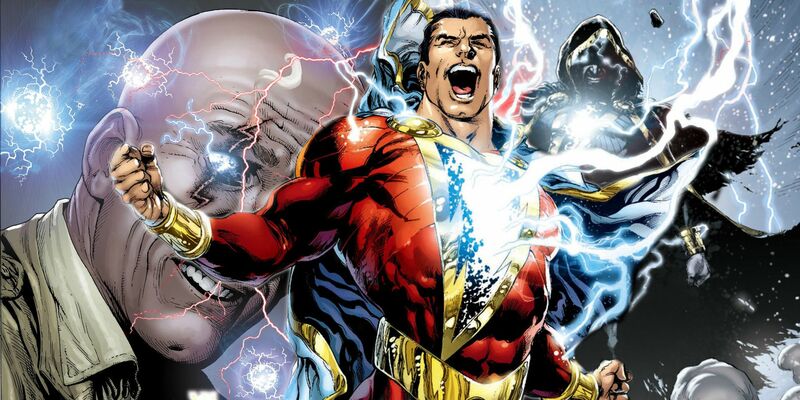 There’s been two primary portrayals of Doctor Sivana in the comics, but Strong’s version in Shazam! is based on the New-52 relaunch (just like the rest of the film). That version of Sivana is a scientist who seeks out magic following a tragedy. It is then he finds Black Adam’s tomb, but was struck in the eye with a lightning bolt from the tomb. Instead of blinding Sivana, it gave him the ability to see magic. Strong’s Sivana does have the magic eye, but what his other powers are remain a mystery. Sandberg did tease that something lent him these powers. Now that a few more Shazam! images have made their way online, this is just the latest step in the film’s overall marketing plan. It hasn’t been that long since the first trailer arrived, but a second one is definitely coming before the end of the year, so WB can attach it to Aquaman. With Shazam not being that well-known of a character, additional marketing materials can help shed some light on what moviegoers should expect come next April. At this point though, Shazam! looks to be shaping up quite well.